FUTURE MUSIC FESTIVAL ASIA 2014 Full Line-Up Is Out! Festival fans can finally breatheeasy as Livescape Asia today announced the full line-up of acts wired to take over the sound waves of Kuala Lumpur from March 13 to 15, 2014. The biggest music festival in Southeast Asia will host a massive line-upfeaturing over 70 international and local artistes over the three day block. 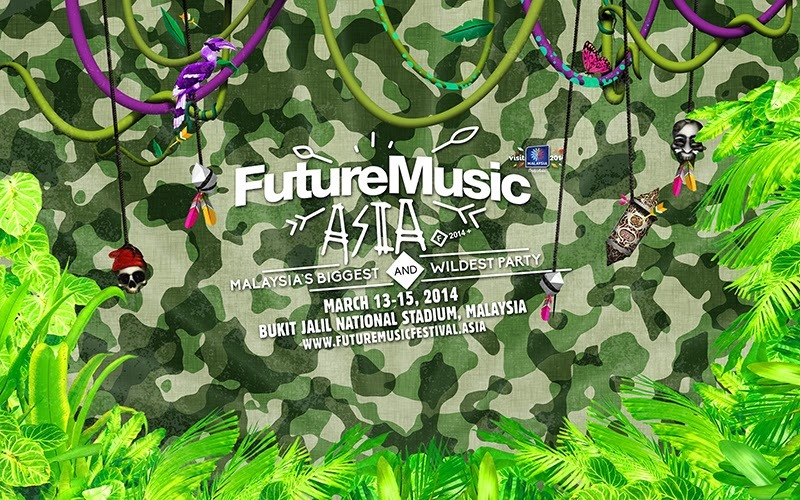 Future Music Festival Asia 2014 takes place this year at one of Malaysia’s most iconic monuments, the Bukit Jalil National Stadium Showgrounds. Offering music fans the best in EDM genres, FMFA 2014 is putting together an onslaught of trance, dubstep, electro house, Hip Hop, Pop and much more across the grounds of the Bukit Jalil National Stadium with multiple stages pumping out transcending tunes for a good three days. At a press conference to announce the festival’s full line-up today, the organizers revealed more big names to add to its already stellar line-up. The acts include American superstar, Pharrell Williams, nominee of 7 awards at this weekend’s Grammy Awards. 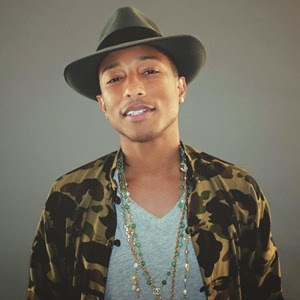 Pharrell is also nominated for an Oscar for best Music – Original Song at this year’s 86th Academy Awards which will take place two weeks before FMFA 2014. 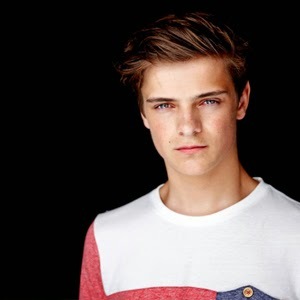 Also announced today are mega producers Martin Garrix, Bassjackers and Will Sparks, along with a host of accomplished local artistes. To kick-off the epic fete, Deadmau5 & Friends gets the sound waves thrusting on Thursday, 13 March 2014 (Day 1), with R3hab, Adventure Club, Will Sparks, B.A.T.E, Eva T, Breaking Diamonds, Double E and Victor Trixter and the notorious Deadmau5. Friday, 14 March 2014 (Day 2), brings the legendary Armin Van Buuren’s A State of Trance 650: New Horizons to punters with his galvanizing posse the likes of Paul Van Dyk, Markus Schulz, Omnia, Marlo, Andrew Rayel, Trimix, Ramsey Westwood and the man himself Armin Van Buuren. The main festival on Saturday, 15 March 2014 (Day 3), carries the festival to its peak with ATB, Eric Prydz, Goldfish & Blink, Porter Robinson, Martin Garrix, Raekwon & GhostfaceKillah of the Wu-Tang Clan, Raising the Bar, SonaOne & Biggie, Rudimental, TinieTempah, Macklemore & Ryan Lewis, Pharell Williams, Yuna, Naughty Boy, Dangerdisko ft. Dato’ Sheila Majid, Bassment Syndicate, Chase & Status, Knife Party, Baauer, Mr Nasty & Guru Guru, Sub Focus, Monsta, Tubby vs Anowl, H3, Gesaffelstein, Brodinski, Arty, Xu & Terence, DJ K, Ko Pi Go, Jungle Jerry & Tablamaniam, Sound Love Affair, Bunga& Axel Groove B2B, Deer Society & Friends, Godwin Pereira, Irama and +2DB. The full line-up revealed promises a sonic-boom of non-stop instrumental fusion and with plans moving on as scheduled, fans should quickly get their tickets with FMFA 2014 looking to be a sold-out event. Apart from spurting out the full artistes’ line-up, also announced today were the entourage of sponsors that have come together in support of FMFA 2014. Some of the biggest players in the market have secured their place at the epic event and will be exercising a host of activities and engagements that will add value and unique experiences to the festival. “We are honoured to have the support of our partners and sponsors for FMFA 2014. This year promises to be even bigger than previous years. With that we are able to provide a platform for our partners to interact and engage with current and potential consumers in a single venue. We believe the relevancy of the event gives our sponsors an advantage in connecting with their key audience, the youth, and presents more opportunities to build substantial relationships with them,” said Iqbal Ameer, Director of Livescape Asia. Supported by Malaysia Major Events, a division of the Malaysia Convention & Exhibition Bureau, an agency under Malaysia’s Ministry of Tourism and Culture as the overall presenter the festival is a huge tourism magnet drawing over fans from neighbouring countries such as Singapore, Indonesia, Thailand and countries from as far as Australia, India and even Europe. For the festival this year, it is expected to draw an influx of over 20,000 tourists. Other partners include Asahi Super Dry (Official Beer and Presenter of the Haunted House Arena), Chivas Regal (Official Liquor), Red Bull (Official Energy Drink), Evian (Official Water), Airbnb (Official Global Accommodation Partner), iDarts (Official Interactive Entertainment Partner), Dr Martens (Official Footwear), Corntoz (Official Snack), KakaoTalk (Official Instant Messaging), Zalora (Official Apparel), MyTeksi (Official Taxi), and Uber (Official Premium Taxi). FMFA 2014 is also supported by Mixmag as the festival’s Global Media Partner, inthemix as its Global Online Media Partner and MTV Asia as its Official Music Channel. “We are confident to say that FMFA 2014 is on course for a sold-out event with a target to bring in 85,000 music fans from all over the world. We already have people flying in from the UK and Europe for the festival and we can only expect more from here on. The traction we have gained over the last two-years has been amazing and we are positive that this is going to be better than last year,” cited Iqbal Ameer, Director of Livescape Asia. For the festival this year, fans of Future Music Festival Asia 2014 will be offered choices to purchase either single-day passes for the 13, 14 or 15 March 2014 or a three-day weekend pass which will grant them access into all three days of the Future Music Festival Asia 2014 Weekend. 1st and 2nd release tickets are sold out. 3rd Release tickets are now on sale via www.galactix.asia. For exclusive VIP packages, contact Livescape Asia at +60.3.7772.6272. Tickets are also available for walk-in purchase at selected Rock Corner and Victoria Music outlets. 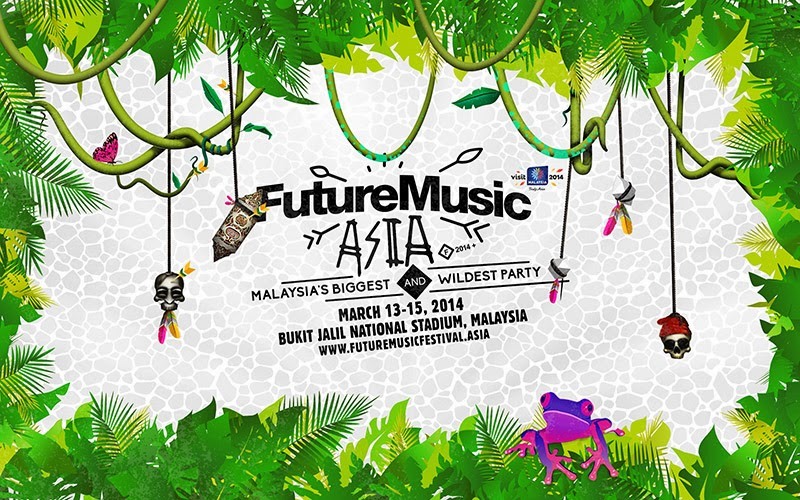 Future Music Festival Asia 2014 is opened to guests aged 18-years and older only. ID verifications will be carried out at the door. *Ticket prices exclude ticket agent’s processing and credit card fees. Festival rules apply. FMFA also implements a strict no re-entry policy for security reasons. The organizers also reserve the right to deny entry to any guest deemed to be in violation of festival rules. 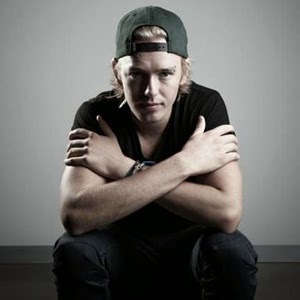 For more information or to purchase tickets, logon to www.futuremusicfestival.asia or www.facebook.com/futuremusicasia. Visit also www.astateoftrance.com for details on Armin Van Buuren’s ‘A State of Trance 650: New Horizons’. Ticketing details and list of artistes for the Future Music Festival Asia 2014 are as below.